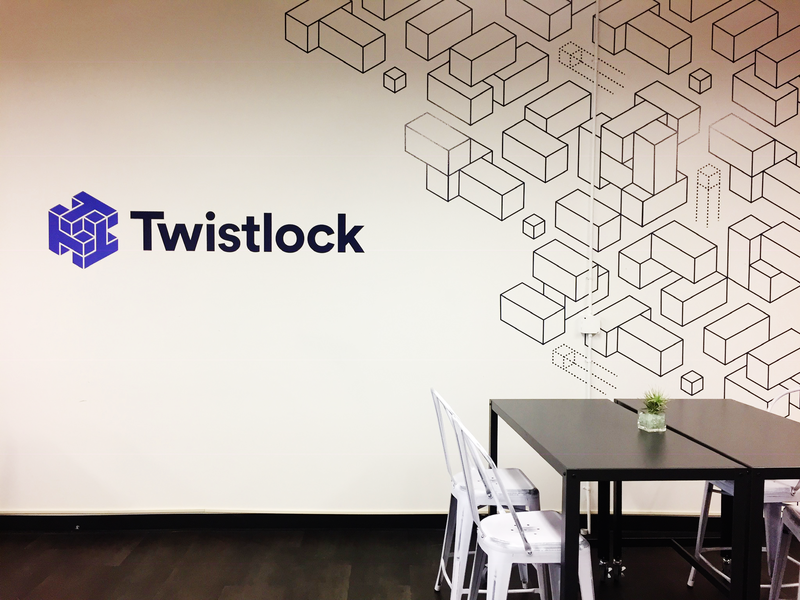 I joined the Twistlock team to carry their brand to new heights in tandem with the growth and success of the company. I inherited a brand that was very limited in use, with a color palette that was failing on multiple levels. Essentially every visual element of the brand was utilizing the same dark navy color with very few light colors that worked well in conjunction. Additionally, the palette had a series of grays, that were near impossible to be used, especially alongside the other colors in the palette from an accessibility and legibility standpoint. 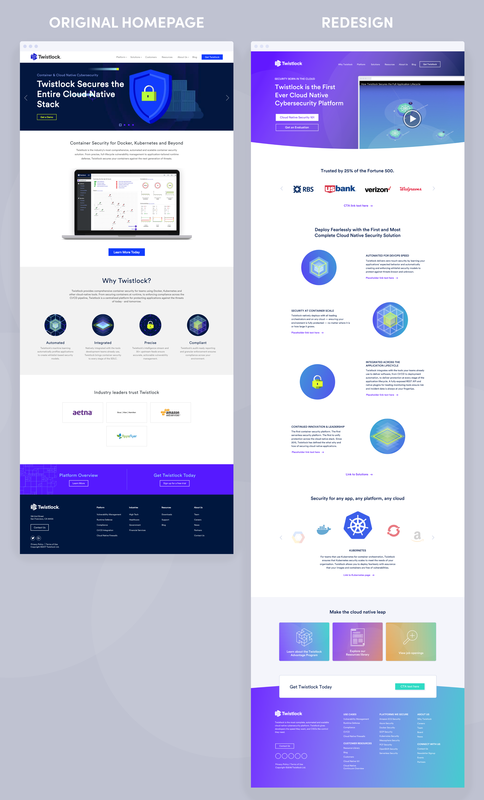 There was hope though, the principle colors of the Twistlock brand — neon purple and dark navy, were a cornerstone for the new brand styles I would create for this modern security startup. 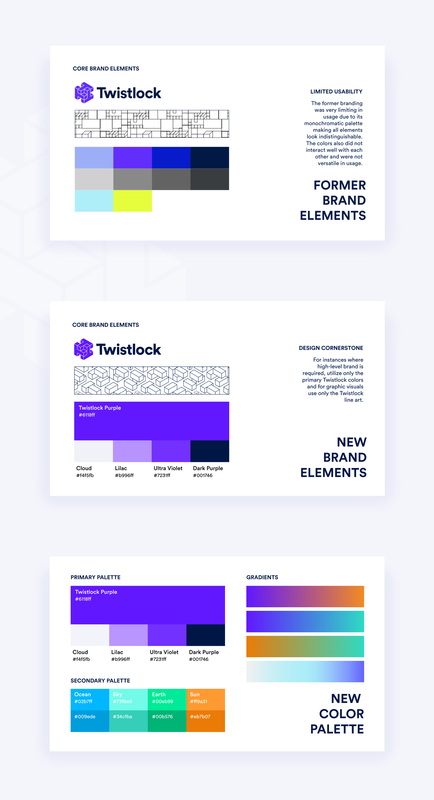 Not wanting to completely redesign the Twistlock brand, I decided to harness what it was doing well (the logo) and let that set the tone for the rest of the brand elements. Having been drawn to the exciting neon purple color, I wanted to build a more robust color palette that not only offered other bright colors to play with, but also colors that would interact well with one another. (There was this neon blue color that was used just as frequently as the Twistlock neon purple and they clashed harshly with each other. This was the biggest pain point with the original brand.) So I introduced an array of colors that could also blend with one another as gradients for another level of visual dimension for the brand which had previously been very flat and uninspired. Another element of the previous brand styles that I wanted to refresh and give fresh life to was the geometric line art resembling containers. This line art was being used on marketing collateral, resources and blog content, and most importantly — in the Twistlock product itself. I liked the concept of the line art, but from a technical perspective, it was poorly designed and had flaws all throughout it. So I created a more robust and seemless pattern in the same style. After the brand had evolved and taken new life, my next move was to redesign the Twistlock website to get our web presence to be as modern and fresh as our new brand styles. My primary issues with the way the website had been designed before (aside from the same color palette qualms) was how many different section blocks and divider styles there were on already long pages. The website pages seemed to scroll on forever and they looked busy and distracting. My goal was to clean it up and organize all the content to flow more uniformly in an open and clean layout. The homepage kickstarted the redesign as the ground floor for displaying key information and driving deeper into the site. 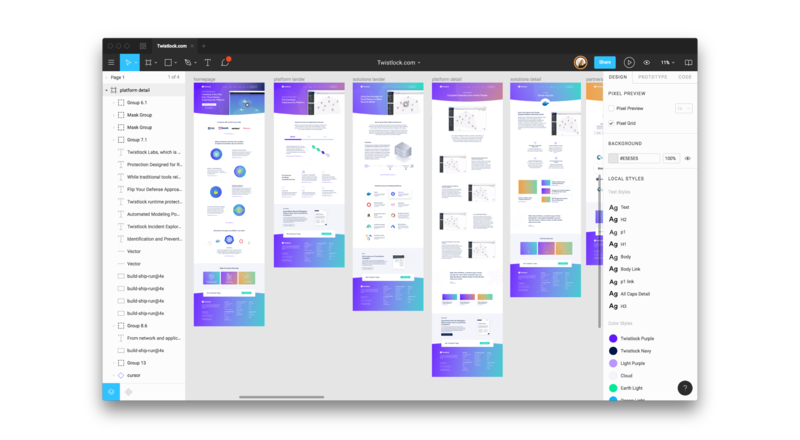 From there I created a library of UI styles and interactions to help guide visitors to the appropriate content they might be looking for since we surface so many levels of information for a variety of audiences. It was important to me that the website, with its dozens of pages and templates, looked uniform and seemless. Especially since I was only able to launch pages incrementally instead of all at once. My other responsibilities on behalf of the Twistlock brand include designing all graphics for conference and event collateral (booths, swag, handouts, etc. ), internal office wall art installations, marketing collateral, and web design maintenance.